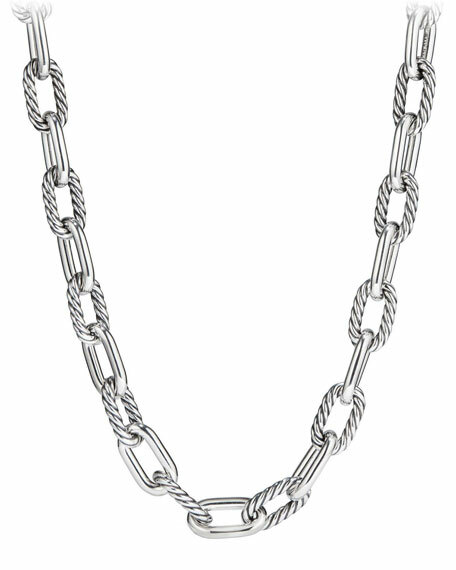 David Yurman Madison Chain 13.5mm Large Link Necklace, 18"
David YurmanMadison Chain 13.5mm Large Link Necklace, 18"
Approx. 18"L x 0.5"W (13.5mm). David Yurman necklace from the Continuance?? Collection. Polished sterling silver in smooth and cable-textured links. Single white diamond pav?? link at center. 0.74 total diamond carat weight. Approx. 20"L. Imported.